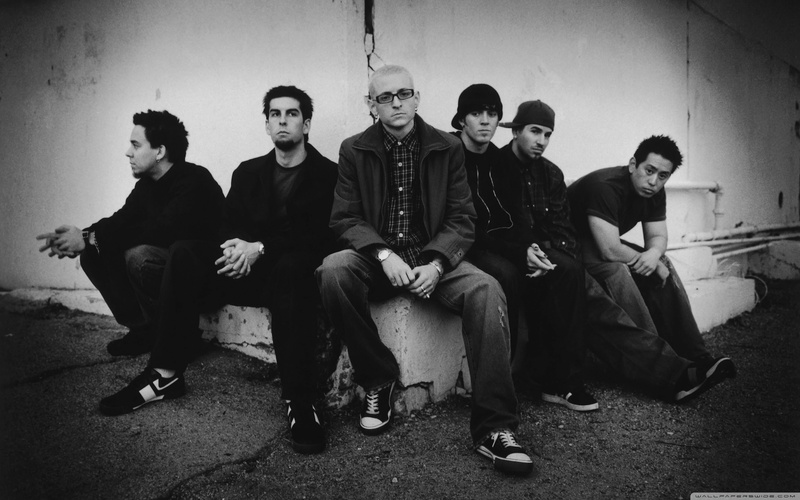 Linkin Park. . HD Wallpaper and background images in the Linkin Park club tagged: photo linkin park chester bennington mike shinoda joe hahn rob bourdon brad delson mark wakefield david farrell. This Linkin Park wallpaper contains costume d'affaires and costume d’affaires. There might also be bien habillé personne, costume, costume pantalon, tailleur-pantalon, pantalon costume, pantsuit, personne bien habillé, pantalon de costume, blues robe, blanc robe, robe blues, robe blanche, blues de la robe, robe blancs, and banc de parc. Linkin Park - Blackbirds download !